The world's chemical weapons watchdog is investigating recent attacks in the besieged, rebel-held Syrian region of eastern Ghouta to determine whether banned munitions were used, according to diplomatic sources. The world's chemical weapons watchdog is investigating recent attacks in the besieged, rebel-held Syrian region of eastern Ghouta to determine whether banned munitions were used, sources told Reuters. 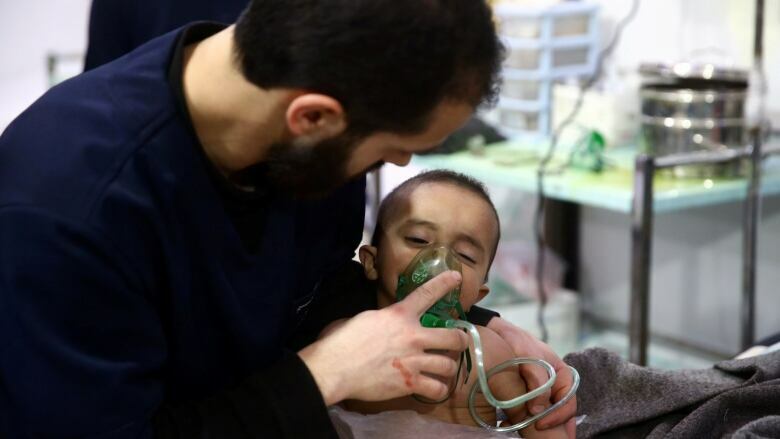 The Hague-based Organization for the Prohibition of Chemical Weapons (OPCW) opened an investigation on Sunday into reports of the repeated use of chlorine bombs this month in the district near the Syrian capital, diplomatic sources told Reuters. Political leaders in France, the United States and United Kingdom said this month they would back targeted military action against Damascus if there were proof of chemical weapons use by forces under President Bashar al-Assad. British Foreign Secretary Boris Johnson reiterated that pledge on Tuesday, voicing support for limited strikes if there is "incontrovertible evidence" of the Syrian's government involvement. The investigation comes as Russia ordered the establishment of an evacuation corridor and five-hour daily truce to allow residents to leave eastern Ghouta, where 400,000 people are living under siege and bombardment. Among the attacks the OPCW's fact-finding team will examine is one on Sunday. Local health authorities said a child was killed, and the attack caused symptoms consistent with exposure to chlorine gas, the sources said. Use of chlorine as a chemical weapons is prohibited under the 1997 Chemical Weapons Convention. If inhaled, chlorine gas turns into hydrochloric acid in the lungs and the buildup of fluids can drown victims. The team does not intend to travel to Ghouta because of safety concerns — two previous visits by inspectors in 2013 and 2014 were ambushed — but will gather witness testimony, photographic and video evidence, and interview medical experts. The United States fired 59 cruise missiles at Syria's Shayrat airbase in April, saying it had been used by Assad's forces to carry out a sarin attack on Khan Sheikhoun that killed more than 80 people, many of them women and children. 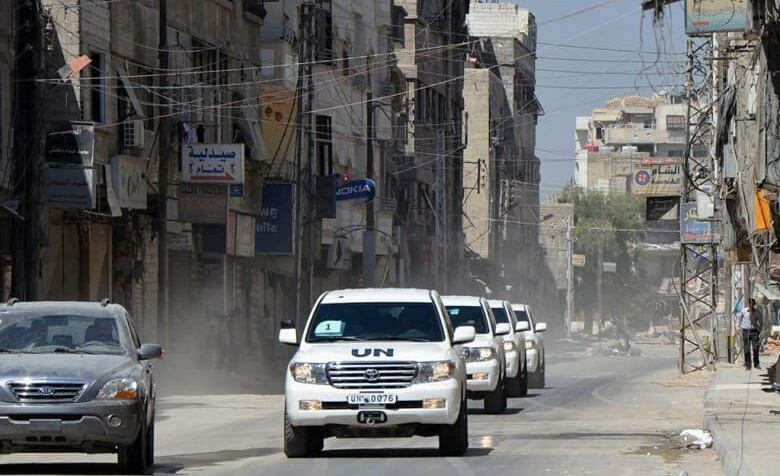 A convoy of UN vehicles carrying a team of chemical weapons experts and escorted by Free Syrian Army fighters drive through one of the sites of an alleged chemical weapons attack in eastern Ghouta in the suburbs of Damascus on Aug. 28, 2013. A UN-OPCW Joint Investigative Mechanism, established by the United Nations to identify those responsible for chemical weapons attacks, said in 2016 that Syrian government forces had used chlorine as a chemical weapon in three cases. It concluded last year that Syrian government forces were also behind the sarin nerve agent attack on Khan Sheikhoun. A renewal of the mission's mandate was vetoed by Moscow at the UN Security Council.